Over the past few years, the term PLM (Product Lifecycle Management) has firmly taken its place in the computerization of industrial manufacturing. It’s fair to say that nowadays PLM is experiencing a real popularity boom in this sphere. Although the abbreviation may seem a bit complex, there’s a clear definition behind these three letters – the analysis of a product’s lifetime. This term first appeared about thirty years ago, and since then, the corresponding technique has been used for forecasting a lifecycle management of various products. However, until 1995, the majority of people did not know how to apply the innovation that came into being. In particular, this was related to the miscalculation of engineering projects, since there was no such kind of a development, and therefore there was no available information either. 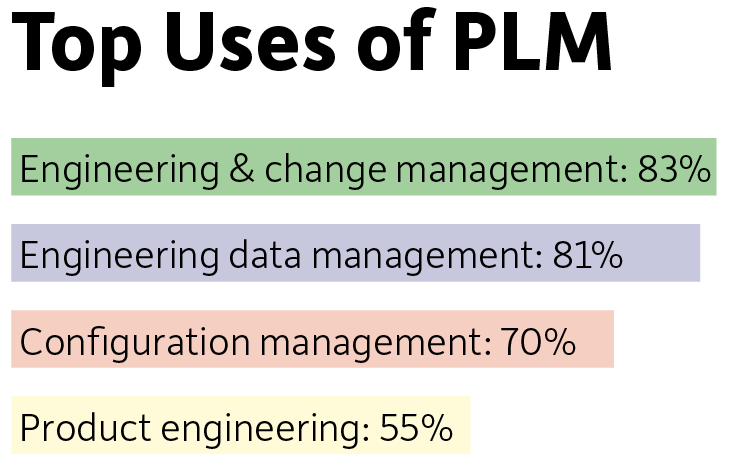 With the course of time, the industry has formed, and so has the notion of PLM. By the way, the first concept and methods of PLM were adopted by IBM / Dassault Systèmes – today’s leader in the development of PLM solutions. Nowadays, these solutions are regarded as a competent strategic technique for carrying out production calculations and planning. Thanks to their pros, the whole infrastructure of production is supported as the information displays all the key indicators of a product starting from the manufacture process itself, and ending with the completion of use with a subsequent disposal. In the modern production process, one can’t simply avoid automated programs for design and calculations since such solutions improve the productivity of the whole enterprise. A company’s staff – engineers, customers, executors, and other workers – will have access to the procurement, development, manufacturing and sales process due to the convenient system of file integration and workflow. A product’s launch to market is a complex and long process with lots of possible drawbacks along the way. However, everything starts with an idea which defines the conception of the product. If you’re serious in your aspirations, at first, you conduct a research to create a product for a specific audience. Do you remember the famous “Know your audience” mantra? Because if you do, you’d love to use a PLM solution as it can track the evolution of your product even at this early stage. Once you’ve chosen and approved the conception, the development moves to the design stage. The team of designers kicks off this phase by creating prototypes and mockups, and they also test the product. A nicely-made system is a great helper when it comes to storing all the comments so no important detail is lost. When the design is approved, it’s time to move to the production itself. As the design requirements are sent to production, the company needs to keep an eye on the sourcing of materials, costs and deadlines. A proper PLM solution will help you to have control over numerous variables that your product depends on. As of today, PLM is regarded as an enterprise-wide solution, so it is important to understand its interconnection with other product information management and operations. In the past few years, the most important areas in which industrial companies are willing to make significant investments in the development of their enterprises include Enterprise Resource Planning (ERP), Customer Relationship Management (CRM), Supply Chain Management (SCM) and PLM. ERP, CRM and SCM are interactive solutions which reflect the material aspects of working with a product and running a business (orders, inventory, production cycle, costs). PLM helps to keep intellectual assets and information management in the appropriate context. Over time, however, the boundaries between these areas began to blur as new functionalities were introduced into solutions being developed within individual areas. It is impossible to understand PLM in isolation from the main trends in the development of modern manufacturing. Various articles often speak about an increased level of competition among manufacturers, changing customer preferences, lower prices and improved product quality as the main reasons for using PLM solutions. Thus, the introduction of PLM-solutions lies not only in the acquisition and development of a certain set of high-level automation systems by specialists but in a detailed analysis of the enterprise’s activities. Based on this analysis, one should build a model of the enterprise’s operation in the new environment. Only in this case, it will be possible to avoid unnecessary financial and time costs, minimize the amount of trial and error and ensure the optimal promotion of the enterprise.